Hydrofoil on a motorized SIB: yes or no? Many inflatable boat owners like to upgrade their SIBs either aesthetically or mechanically. As a first upgrade, I always recommend the installation of a hydrofoil on your outboard motor. It has numerous advantages, makes your motorized boat faster & safer, and best of all, it is cheap. A hydrofoil is a lifting surface in the form of a foil, which is operated in water. It bears similar appearance and purpose as airfoils, which are actually the wings of an airplane. Boats and watercraft that have hydrofoils installed are termed as hydrofoils. The term Hydrofoil actually refers to the wing-like structure fastened on struts below the hull of the boat. 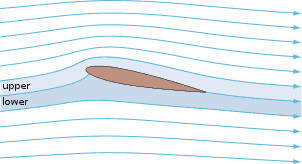 This feature elevates the hull of the boat a little out of the water during forward motion to reduce the drag on it. https://pumpupboats.com/wp-content/uploads/2019/02/Hydrofoil-on-a-motorized-SIB-yes-or-no-1.jpg 321 845 pumpup https://pumpupboats.com/wp-content/uploads/2018/08/inflatable-boats-logo.png pumpup2019-02-26 16:01:022019-02-26 16:06:08Hydrofoil on a motorized SIB: yes or no? A lot of people buy an inflatable boat as their main boat, but there are instances where you might want to tow your inflatable boat using your mother boat. Whether you’re using your dinghy as a tender for your main boat, because of a mechanical failure or inability to stow your boat aboard the larger vessel, it’s a good idea to know how to properly tow a dinghy. Towing might seem relatively simple and easy, looking at it from afar. Just tie a knot and tow. However, it does take careful preparation to ensure the success of the entire operation, otherwise, you will end up damaging your dinghy and possible your mother ship. A life vest, also known as life jacket or personal floatation device (PFD), is considered fundamental safety gear for fishing, boating, and other various water sports. It is designed to keep one’s head above the water to prevent drowning. It is a must-have onboard your boat, but remember that it’s not enough to just stow it nearby during a trip or an operation! Most drowning accidents occur even when life vests are available nearby, but victims chose not to wear them because they know how to swim. The majority of people who drown are able swimmers. Most drownings happen in inland waters, only 10% happen out at sea. Out of all the drowning fatalities that happen, 85% of the victims do not wear a PFD. It is necessary for boat owners to register their boats to legally operate them within a state. However, every state has different conditions and requirements for boat registration. Specifications on the type of watercraft that needs to be registered vary from state to state as well. Do I need to register my inflatable boat? However, some states do not require inflatable boats to be registered or to bear registration numbers. Policies and rules vary in each state, so it’s best to check the laws concerning boat registration in the state that you live in to know if you need to register your inflatable watercraft. Let’s face it. Getting into an inflatable boat in deep water is hard.